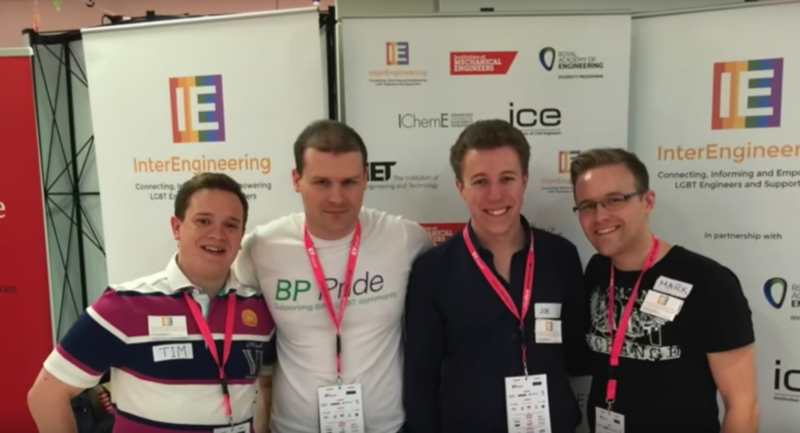 We attended National Student Pride to provide representation for the engineering industry to over 1000 students who attended the event. Students travelled from across the UK to London for the event which hosted panel discussions, fun events and also a large careers fair at which we had a stall. Team InterEng for the day comprised myself (Mark McBride-Wright), Fiona Connor, Hayley Barnden, Timothy Crump and Joe Boissevain where we each took it in turns to be present at the stall. Armoured with our material from professional engineering institutes, freebies and a bowl of sweets, we attracted many students to the stall. We got about 40 students sign-up to our mailing list and, crucially, names of possible future InterEngineering Student Ambassadors. See the YouTube video above capturing the atmosphere at the event including short interviews with each of the employers listed above detailing why they attended NSP. InterEngineering would like to thank National Student Pride for the invitation to join the event this year. Well done to the team for organising a fantastic event. I would also like to say a special thank you to all the InterEngineering volunteers for helping out over the weekend.